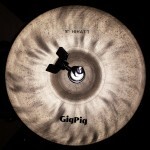 In our recent Review of the GigPig, the small cymbal pack is mentioned as a great value and pleasant sounding. Not to mention an important aspect I really liked about them; How well matched they are. However what really merits a separate review for this little cymbal pack is that it may be the only package of such small cymbals in existence. I haven’t been able to find another pack of cymbals that are suited for ultra-portable kits. Even attempting to find Hi Hats, Crashes and Rides in these sizes individually would be a daunting challenge. I’m sure I can’t be the only one with one or more compact drum kits that struggles with finding suitable smaller cymbals. 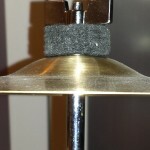 Smaller cymbals are necessary to keep a small drum kit’s foot print to a minimum while maintaining maximum portability. 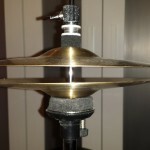 Another reason for smaller cymbals is that they tend to be a tad quieter than regular sized. 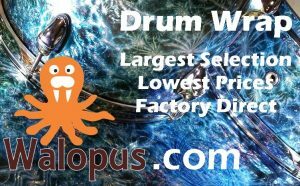 Larger cymbals can easily over power our diminutive little drum kits. 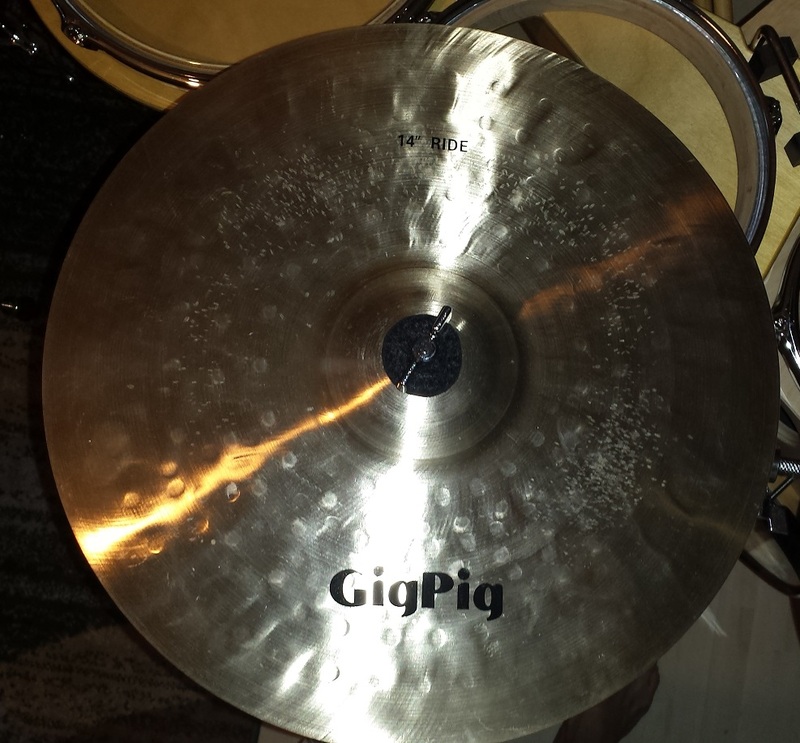 Until I recently obtained the GigPig small Cymbal Pack, putting together a nicely matched, decent sounding set of compact cymbals has been a quest. 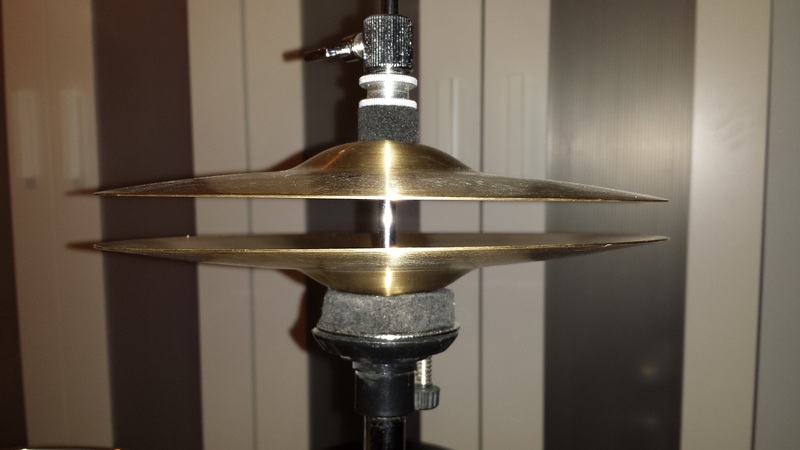 My most recent and most successful combination consisted of a pair of 10″ Sabian Mini Hats, a Sabian XS20 Hi Hat bottom as a Ride, a 10″ Zildjian splash as a crash and 8″ and 10″ splashes, one topped with a 6″ Ice bell since there isn’t a whole lot of bell area on the bottom hat used as a ride. 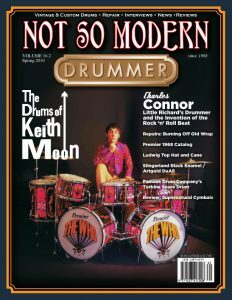 The cymbals contained in this cymbal pack review trumps my current combination by miles and at a substantially lower price tag to boot! Starting with the Ride, I’ll attempt to describe each individual cymbal, as well as provide sound samples. Up ’til now I’ve never come across a 14″ cymbal labelled “Ride” before. 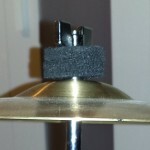 Personally I’ve used a few Hi Hat bottoms or tops as rides on my smaller drum kits with varying results. If this 14″ Ride is a re-labelled Hat, it’s a better choice than any of the ones I’ve tried. More importantly it’s perfectly matched with the other cymbals in the pack. My biggest surprise with this specimen is how truly useful both the bow and bell are as a Ride cymbal. The sound sample is a light ride on the bow, followed by a light ride on the bell, a whack on the edge and finally a whack on the bow. Moving on to the little 8″ Hi Hats. I was quite sceptical to these as a first impression but testing them proved my cautions exaggerated. 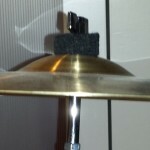 Some how these light little hats sound richer and fuller than my 10″ Sabian Mini-Hats. It’s possible these are re-labelled splashes but if they are, they are very well suited for the task and matched with each other. The top does weigh the same as the splash but has a significantly higher pitch. The sound sample starts with pedal only, then tapping closed and finally tapping while opening and closing. 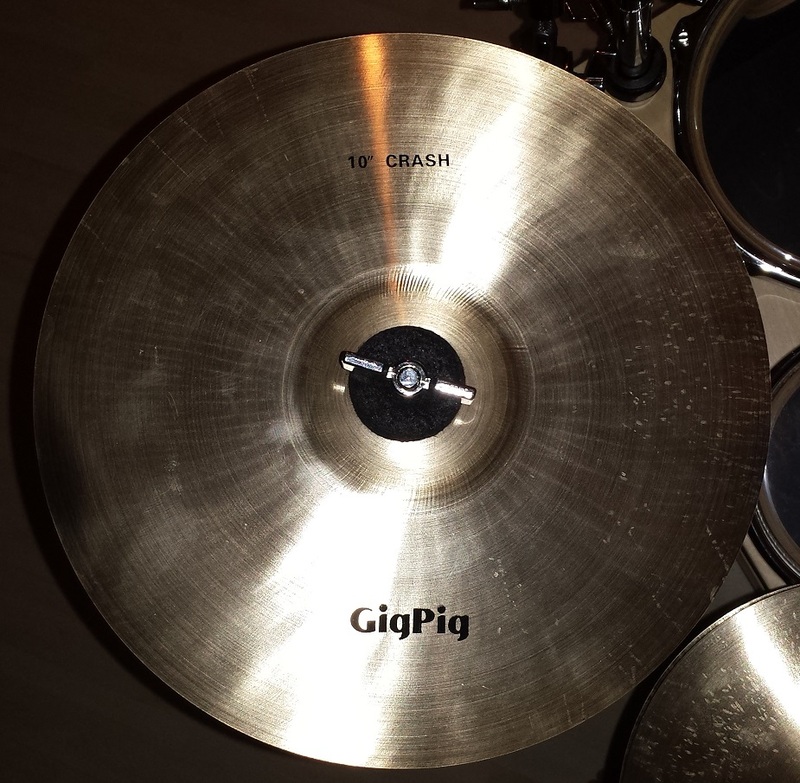 Unavoidably the fairly light 10″ Crash does have a slightly “splashy” sound on it’s own, but when mixed in with the other cymbals in this pack it fills the duty of the crash cymbal with excellent results. 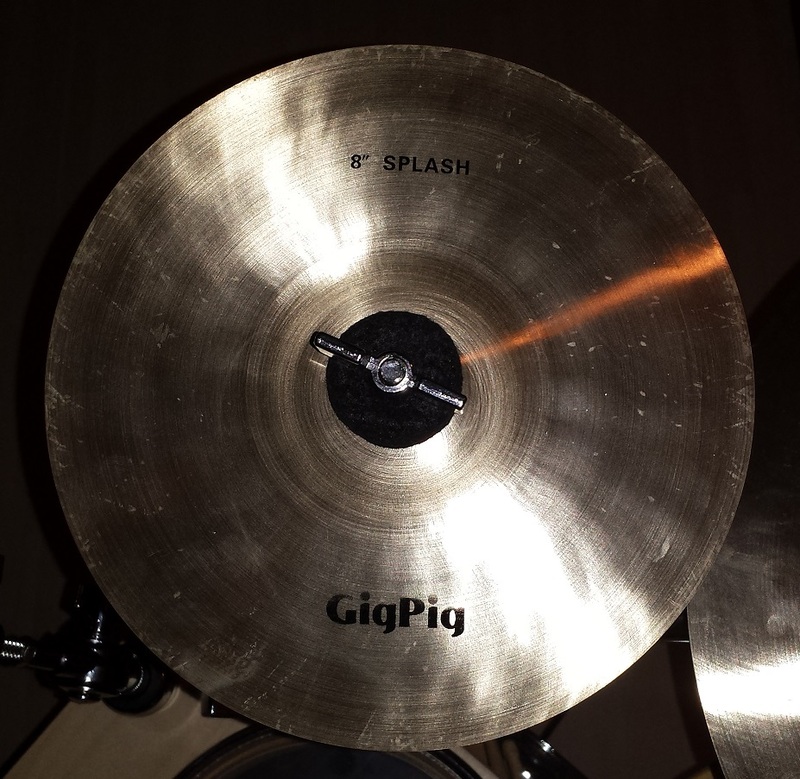 As with the splash cymbal, the light weight and accompanying slightly “dark” tint to the sound makes it a useful cymbal for jazz. However it’s not so thin that it can’t adequately cut through in a blues, pop or rock environment as well. The sound sample is simply a couple of whacks on the edge followed by a couple on the bow. The 8″ Splash is just like the 10″ crash quite suitable for jazz but equally at home in blues, rock or just about any genre. Both the crash and the splash are equally well matched with either the hats or the ride. 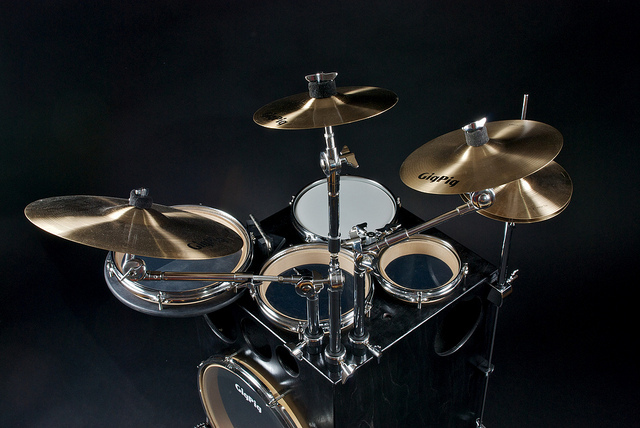 The way the entire pack is matched provides a vast cymbal palate with just the four cymbals. Varying either Ride, or Hats with your choice of the crash or the splash are in either case pleasant and sound deliberately well chosen. Price: US$175 + Shipping from Sweden and possibly duties. Material: From the appearance I gather they are B20 alloy, but this is not confirmed. While there are “better” and “higher end” hand-hammered cymbals than these on the market, These are by far the best cymbals of these sizes. Actually, to my knowledge, these are the only cymbals of these sizes on the market. This simple fact alone places a huge weight in the scales for this cymbal pack. 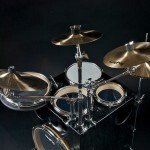 Then consider the price; $175 is a steal for any four-piece cymbal pack, even the most entry-level of the entry level. While these aren’t hand-hammered, high end cymbals, they are certainly a far cry from the bottom end. 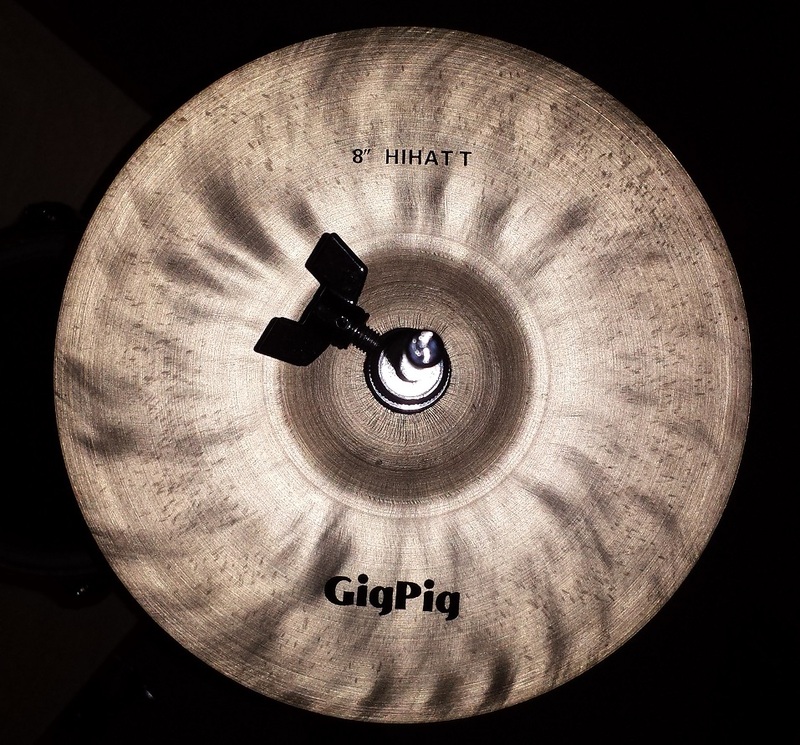 Rounding out the Pros for the GigPig Small Cymbal Pack is the way they are perfectly matched to each other. In this Small GigPig Cymbal Pack Review we award a full 5 out of 5 stars.